Are you traveling and need to find the best accommodation services in Greater Melbourne (Inner) - VIC Region? When traveling across Greater Melbourne (Inner) - VIC Region you will find a wide range of different accommodations. In Infoisinfo we want you to find the one within your budget that better fits your interests. That is why we've prepared a list with the best accommodation services in Greater Melbourne (Inner) - VIC Region so you can find it easier. You will find numbers, addresses and reviews as well as comments from other clients. If you are interested in holiday accommodation in Greater Melbourne (Inner) - VIC Region, have a look at this guide which explains the differences between the most common accommodations. Hotels: there are many hotels in Greater Melbourne (Inner) - VIC Region offering a great accommodation service. You can find affordable hotels or much more exclusive hotels like boutique hotels. These hotels offer a more thoughtful treat and count with a smaller number of rooms than a common one. Each room is different and unique. Other hotels and mainly low cost hotels must be booked long before the trip to get a better price. Guest houses and bed & breakfast: it is a nice and cheap accommodation which involves a feeling of local hospitality. Full breakfast is offered and other meals during the day upon requets. Very good and economic for weekends or short term holidays. It will be easy to find a nice and cheap b&b in Greater Melbourne (Inner) - VIC Region . 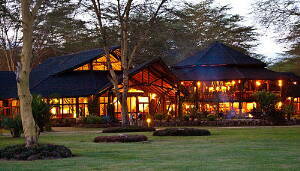 Lodges: if you want an accommodation next to nature, a lodge is great idea. It is often made of wood and will provide you an unforgotable and unique experience. They are often booked with zoos and other tourist tours. Hostels: very popular among youngster is the cheapest choice and only a good idea for a few days accommodation. People share bathroom and room with more people depending on the price. You can book a single or double room but it will be more expensive. Inn: hotel prices sometimes make imposible to book a hotel room and an Inn might be a good alternative. They are smaller and often count with a pub where food is offered. Resorts: a resort sometimes is considered as a luxury accommodation although there are more affordables ones. Apart from the hotel room or apartment, it counts with multiple lucrative facilities like swimming pools or golf courts. Self catering accommodation: it includes all the independient accommodations with their own kitchen and other facilities. You will find from luxury houses to affordable apartments to rent in Greater Melbourne (Inner) - VIC Region. 1 Freshwater Pl, Southbank, VIC, 3006, Australia, Melbourne. Melbourne. VIC, 3006. 8 Dream haven Court, Melbourne. Melbourne. VIC, 3076. 3 Alfred Street Balaclava, Balaclava. Port Phillip. VIC, 3183. 413-417 Elizabeth St, Melbourne. Melbourne. VIC, 3000. 637 - 641 Chapel St, Melbourne. Port Phillip. VIC, 3004. 11 Exhibition St. Melbourne. VIC, 3000. 41 Wells Rd, Seaford VIC 3198. Melbourne. VIC, 3198. 372 Bridge Rd, Richmond. Yarra. VIC, 3121. L 1, 11 Chesterville Rd, Prahran. Stonnington. VIC, 3181. Po Box 45 Abbotsford Vic 3067, 103 Hoddle, St, Abbotsford. Yarra. VIC, 3067. S 2, 4 Stephenson St, Windsor. Stonnington. VIC, 3181. 123 Albion St, Melbourne. Melbourne. VIC, 3000. L 5, 595 Collins St, Melbourne. Melbourne. VIC, 3000. K113 63 Turner St, K113 63, 63 K113 63 Turner St St, Port Melbourne. Port Phillip. VIC, 3207. Melbourne, Victoria, Melbourne. Melbourne. VIC, 3000. 122 Chapel St, St Kilda. Port Phillip. VIC, 3182. 183-185 St Georges Tce, Melbourne. Melbourne. VIC, 3000. 92 Albert Street St, East Melbourne. Melbourne. VIC, 3002. 362 Frankston-Dandenong Rd, Seaford. Melbourne. VIC, 3198. 142 Park St, South Melbourne. Port Phillip. VIC, 3205. 270 Collins St, Melbourne. Port Phillip. VIC, 3004. 109 Walker St, Clifton Hill. Yarra. VIC, 3068. 299 Brunswick St, Fitzroy. Yarra. VIC, 3065. 89 Church St, Richmond. Yarra. VIC, 3121. Treetops, 26 Karingal Dr, Richmond. Yarra. VIC, 3121.